Classes include deep stretching, breathe work, and relaxing meditation or reiki to end the session. You will get energized, reduce stress, build strength and improve flexibility and balance. – Thursday Night Slow Flow Vinyasa in Pound Ridge, 6-week session March 7- April 11th, from 5:00-6:00 PM, $90 for all 6 classes or $20 drop in per class if space available. The next series is April 25-May 30th. Currently taking enrollments at the special price of $90 for 6 classes. – Ongoing Restorative Yoga Workshops at O2 Living in Cross River first Sunday of the month January-June. Restorative yoga is for anyone who would like to de-stress, relax & renew. No yoga experience necessary. The gentle stretching and restorative sequences help your spine and open tight hips, hamstrings, and shoulders. The program is great for anyone who wants to bring balance to body, mind, and spirit, and enhance your body’s ability to heal itself while you quiet your mind. Next class is March 3, 3-4:15 PM. Private yoga available for all ages and levels at your house or in my studio. Call (914) 763-9107 for more info and pricing for private yoga. * Yoga & Beer Tasting Fund Raiser to Benefit Ann’s Place – A special place that supports patients with cancer and their families, May 21, 10-12, Lake Truesdale Beach, Gilbert Street, South Salem, NY 10590. Call 914 763-9107 for more information and to RSVP. Rain date is May 22. For this fun community class we will will start out with an all level yoga class followed by a beer tasting from Captain Lawrence Brewery, then mingle and learn more about Ann’s Place. Free event, tax deductible donations accepted on behalf of Ann’s place. www.annsplace.org. * Stretch/De-Stress/Restore Yoga in South Salem, 4 week gentle session Thursday Nights, from 6:00-7:15 PM back this fall. Call (914) 763-9107 to enroll or more info. * Restorative Yoga Workshop at O2 Living in Cross River, back this fall. Restorative yoga is for anyone who would like to de-stress, relax & renew. No yoga experience necessary. The gentle stretching and restorative sequences help your spine and open tight hips, hamstrings, and shoulders. The program is great for anyone who wants to bring balance to body, mind, and spirit, and enhance your body’s ability to heal itself while you quiet your mind. “Renee created a nurturing and healing cocoon. I was able to just let go and find true peace.” E. K. Call (914) 763-9107 for more info and (914) 763-6342 to register. $35 per person or $60 for two signing up together. Group Cleanse Teleseminar Program – This is a 21 Day Program That Uses Healthy Foods and Cleansing Supplements to Cleanse all of Your Organs Resulting in More Energy, Vitality, Weight Loss and Mental Clarity. Next session in October. Program can be done individually between sessions. * This popular program will begin again this fall. This is a group teleclass and webinar program. You can do the class at home in your pajamas! Call for more information. (914)763-9107. * $60, plus cost of supplements: Includes 3 one hour teleclasses, unlimited email support between calls, nutritional products, meal plans, shopping list, recipes, support and everything else you need to make this a successful experience. * Through movement, chakra balancing, group journeying, and various other soul searching channels, we will reach our highest potential as strong, loving, beautiful, and sensual women. Join Renee and like minded women on the journey towards strengthening your feminine voice, accessing your divine nature, and learning to self-nurture. Limited space available, so please register early! Call for more information or to register. (914)763-9107. The Benefits of Juicing – Complimentary at the Katonah Library, April 11, 11-12:30 – I will be speaking about the benefits of juicing, the types of juicing and smoothie making for your health and vitality. There will be demonstrations, tastings and I will provide a list of my favorite recipes. * Celebrate Earth Day with Jen Carter, Yoga Teacher and Author of The Yoga of Cleaning book to learn how to enjoy cleaning, organize your space better all mindfully with a yogic mindset. * Learn what natural cleaners are best for your health and mental psyche. Limited seating, call (914) 763-9107 to reserve your place. * November 8th, 2014, 11-1 PM, South Salem. NY. * Would you like to reduce pain & stress, and feel more centered and at peace? * Learn more about Reiki as an ancient healing art that is used in many hospitals to help patients recover quicker with less pain and reduce stress prior to surgery. * Reconnective healing is a newer very powerful energy that can relax you and help you feel better within minutes. 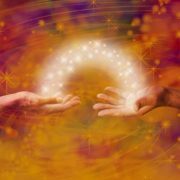 * In our workshop we will discuss and demonstrate these energies so everyone will leave both relaxed and rejunvenated. Call (914) 763-9107 to reserve your place. Restorative Yoga Workshop at O2 Living, June 8th from 2pm to 4pm – This restorative sequence is for anyone who would like to relax and renew. No prior yoga experience is needed! You will be guided into restorative poses using props to make you comfortable in a completely supportive environment for total relaxation. In addition to the restorative sequence, there will be light pranayama breath work and meditation to help you quiet your mind. For those who would like additional relaxation and healing, Renee can administer the ancient healing art of Reiki while you are in the restorative poses. Wear comfortable clothing and bring water!!! Cost: $35 *REGISTRATION IS MANDATORY – LIMITED SPACE* Please Call (914) 763-6320 to reserve your spot! Cold and Flu Season – Learn Ways to Supercharge your Immune System While Boosting Your Immunity at Saltana Caves in Ridgefield, CT. It’s cold and flu season again, are you ready? There are things we can do to prevent or lessen the symptoms of these annoying and sometimes debilitating illnesses. It’s a matter of taking responsibility for our health and providing our body with the right food and nutrients. * We will go over tips to boost your immunity and reduce daily stress while in the Saltana Cave. 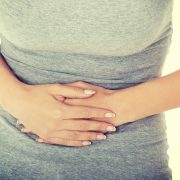 After a brief presentation, Renee will help you relieve your stress and boost your body’s natural defenses through a guided meditation and Reconnective Healing energies (www.Thereconnection.com). After the session we will have light, healthy refreshments and Q&A. * The Saltana salt treatment offers a unique form of alternative therapy that provides relief from many respiratory ailments. It allows you to get a sense of peace and serenity while simply breathing in the salt particles. They then travel into the deepest parts of your respiratory passage and help your body detoxify and rejuvenate. Salt therapy is naturally anti-inflammatory, antibacterial, antiviral and antifungal. Weight Loss Support group – Continues ending March 27th, 2014. This is a support group for people who want to lose at least 15 lbs in the New Year, that meets on Thursdays from 7-7:30pm by teleclass. There will be monthly, in-person group meetings as well as a private facebook group where the group members can communicate. * The weekly calls will be recorded, if you cannot attend, for instant replay. Call for more information. (914)763-9107. * Must be on Renee’s recommended program for weight loss to participate. Maximum of 15 people – Sign up fast! 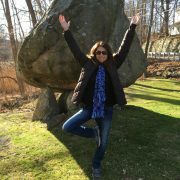 * April 11, 2013, 7-8:30 pm, Connecticut Center for Change, 38-B, Grove Street, Ridgefield, CT.
* With my colleague Deana Paqua, LMT, Reiki Master and Shamanic Healer. Come learn more about self-care, including how to relieve stress, boost your immune system, balance your hormones, weight and energy, and connect with you spirit in a peaceful empowering way. We will share a guided meditation, coping tips and tools, and information on a wonderful natural wellness program to help you maximize your health and vitality. *Complementary, call (914) 763-9107 to reserve your place. * I will be partnering with Dr. Stacy Raymond, Certified Clinical Psychologist for this workshop. Dr. Raymond specializes in helping clients with problem resolution and addressing fears using EMDR. She also addresses the link between spirituality and self- esteem. Call (914) 763-9107 to enroll or for more information. Helping Those with Lyme Disease and Other Tick Borne Illnesses to be healthy! * Coming in the spring, Connecticut Center for Change, 38-B, Grove Street, Ridgefield, CT.
* With my colleague JoAnn Duncan, MS, RMT. Join us for an enlightening discussion on helping to build and maintain a healthy immune system, reduce fatigue and anxiety and improve energy and the natural healing process.Complementary, call (914) 763-9107 to reserve your place. * Join us to learn more about these two powerful healing practices that can help with stress reduction, immune system support, pain relief, and physical, mental, emotional, and spiritual health. * Learn to feed your children and boost the immune system in a more holistic way. Will discuss picky eating and managing common problems naturally such as digestive complaints, allergies, asthma, and ADHD. * Renee Simon teams up with clinical psychologist Stacy Raymond to recognize stresses unique to women. Renee talks about balancing hormones, losing weight, using diet and supplements, helping with bone density, heart disease, and cancer prevention. Stacy goes on to mentor us through our under-recognized psychological stress as women and closes with a bio-feedback and healing demonstration that left us all transformed. Join us and walk away ready to tackle what the new day gives in the new light! * Co-authored diabetes module for fellowship program to train doctors, nurses, dieticians, and other medical professionals. Participate in online dialogue to answer questions about materials and support program participants. * Presented an integrative medicine approach to weight management and life style balance for Dr. Prywest’s patients in Danbury. CT.
* Trained moms to learn to feed their children and boost the immune system in a more holistic way. Also discussed picky eating, and managing common problems naturally such as digestive complaints, allergies, asthma, and ADHD. * Developed diabetes module for nurses and food services personnel. Conducted on-site training using customized materials including balanced eating programs, meal plans, recipes, and how to work with emotional issues around food. * One of the key note speakers at event to promote health and wellness to women as part of a community outreach program to raise money for Haiti victims. * Combines Nutrition Education, Accountability, and Support using Principles and exercises from my book Take Back Your Health . This class will work on the emotional aspects of over eating and help you to boost your metabolism, reach and keep your ideal weight, and improve your food and body awareness. * Starting in Ridgefield April 19, 26, May 3 from 1-2 PM. The class is $99 for all 3 classes and includes: lectures, exercises, specific food plans, support and recipes. Call (914) 763-9107 to enroll or for more information. * A one day seminar Saturday, April 24th from 11-12:30 at 15 Gilbert Street, South Salem, NY . We will discuss different ways to manage stress effectively and to stop stress eating and sugar cravings. A guided meditation will help you to fully relax and different techniques will be demonstrated for managing stress and other challenging situations. * April 24th from 11-12:30 PM. The class is $25. Call (914) 763-9107 to enroll or for more information. * A one day seminar at Dr. Kang’s OB office to help women with a healthy, balanced diet before, during, and after pregnancy. Holistic approaches to common pregnancy problems were also discussed. * A one day seminar to help attendees manage cravings and improve eating using healthy balanced meals and snacks to stabilize blood sugar and make the quitting easier. * A one day kickoff and seminar series including “Eating to Lose Without Dieting” to help employees improve health, vitality & productivity. Conducted nutrition & life style consultations with 20 employees as part of health improvement program.